This entry was posted on May 17, 2018 at 12:29 pm and is filed under Education, mathematics, Maynooth with tags education, Four-figure tables, ireland, Log Tables, Mathematical Tables, mathematics. You can follow any responses to this entry through the RSS 2.0 feed. You can leave a response, or trackback from your own site. I once had a professor (who looked incredibly like James Clerk Maxwell) who allowed us to use one sheet of A4 in the exam. We could put what we wanted on it. Actually, figuring out what to put on it probably taught people a lot; many produced a good sheet but hardly needed it. It means: Tables made of logs are available for those who find that the cheap desks are too wobbly for them to write upon. I don’t think I can remember an examination in which I didn’t have to stick some paper or something under one of the legs of the crappy desk to stop it wobbling. Perhaps there’s some kind of law that says all desks used in examinations must be wobbly. in the coursework from the very beginning then it will be helpful to all. require skills that are mostly numerical and statistical. 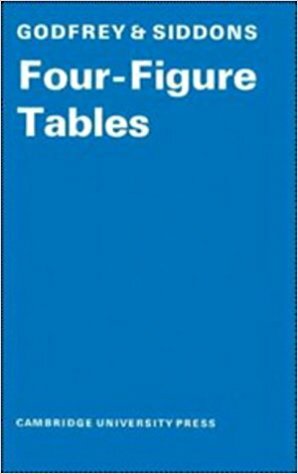 We had a book of log tables at school in the early 1970’s. Four decimal places like Peter’s one. Our (Christian brother) maths teacher made us memorise the logs of integers from 2 to 9. I got my first calculator in 1975 – it did logs but only natural ones, so you had to convert to log. It also didn’t have square roots so you had to convert the number to log, divide by 2 and then work out the antilog. And it worked on reverse Polish notation which was a pain. My prized possession at school was a Hewlett Packard HP32E. The main advantage of Reverse Polish Notation was that nobody else in the class ever asked me to borrow my calculator.